Brand new entrepreneurs often start new companies with dreams of grandeur and visions of dollar signs dancing in their heads. After all, starting a successful new business is one of the best ways to accumulate significant wealth and achieve financial independence — not only for you and your family right now, but also possibly for future generations to come. But soon after startup, some new entrepreneurs discover a concept that they may not have heard of before: equity dilution. This occurs when a business issues new ownership shares that are distributed to investors to raise capital. Each time shares are distributed to an individual or entity other than the owner, the owner’s percentage of shares (or ownership in the business) is diluted. Equity Dilution: Good or Bad? Is dilution of equity in a startup business a good thing or a bad thing? At first glance, equity dilution might appear to be a “necessary evil” — while you certainly don’t want to dilute your personal ownership share in your company, you might need to in order to raise capital or hire and retain top talent. with ‘n’ equal to the amount of ownership being diluted as a percentage. When diluting equity, your goal should be to maximize the value of your remaining ownership stake. So, if you sold half of your company to an investor, you would need your company to double in value for the dilution to make economic sense. In this equity dilution formula, if your ownership stake is diluted by n, the company’s value must increase by 1 / (1 – n) for your equity stake’s value to remain the same — or in other words, for you to break even. Let’s say you currently own 50% of a company that’s worth $2 million, so your equity stake is worth $1 million. If you diluted equity by another 20%, the percentage of your equity stake would fall to 40%, or a value of $800,000 — $200,000 less than before the dilution. Therefore, the company’s value must rise to $2.5 million for you to break even on the dilution. If the company’s value rises to more than $2.5 million, then the equity dilution makes economic sense. Soon after startup, some entrepreneurs discover a concept they may not have heard of before: equity dilution. This occurs when a business issues new ownership shares that are distributed to investors, key employees or others. Each time shares are distributed to an entity other than the owner, the owner’s percentage of shares is diluted. You can take an equity dilution formula approach to determine whether equity dilution makes economic sense for your startup business. 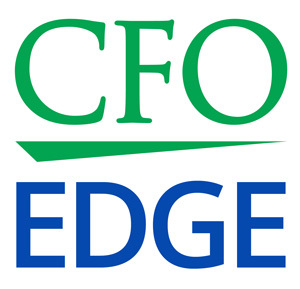 A CFO partner from a CFO services firm can help you make this determination.